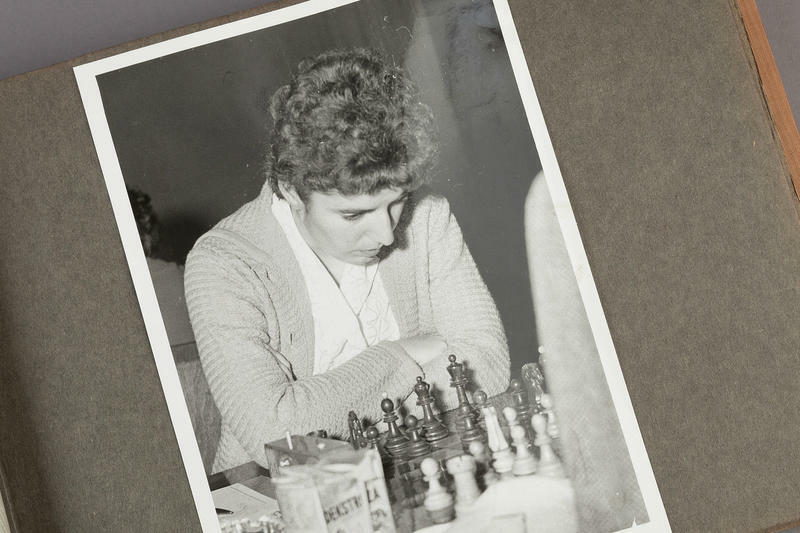 Photograph of Nona Gaprindashvili in Gisela Gresser’s Photo Album from the 1961 Vrnjačka Banja, Yugoslavia (present-day Serbia), Women’s Candidates Tournament, c. 1961. John G. White Collection at the Cleveland Public Library. A five-time world champion, Nona helped to propel the Soviet Olympiad team to 11 team gold medals during her tenure. During this impressive run, she managed to earn an astounding nine individual gold medals. She is also the first woman in chess history to earn the prestigious grandmaster title. 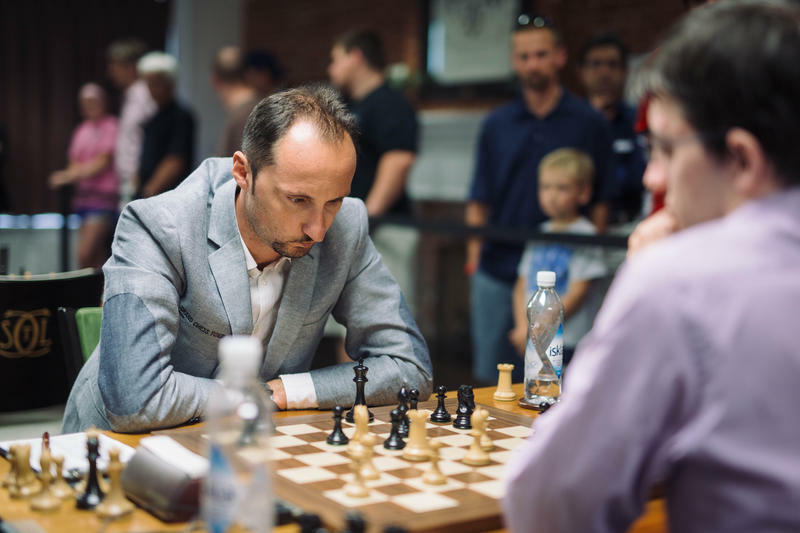 Nona’s success inspired generations of Georgians and thousands of chess players worldwide. She was an idol to her fans and held such popularity amongst young girls that parents began naming their daughters Nona in her honor. They also signed up their children for chess lessons in record numbers. Nona carried celebrity status and was recognized on the streets just as easily as any Hollywood actor. She was indeed a national hero and influenced fellow Georgian stars like Maya Chiburdanidze, Nana Aleksandria, Nana Ioseliani, Nino Gurieli, Ketevan Arakhamia and Ketevan Kakhiani. Nona Gaprindashvili held her title until 1978 when she was dethroned by the above mentioned Maya Chiburdanidze. As a child, Maya kept a picture of Nona hanging on her wall and actually beat her for the first time during a simultaneous exhibition when Maya was only 13. She kept her Women’s World Chess Champion title for 13 consecutive years, often defeating fellow Georgians vying for the title. During Nona’s and Maya’s reigns, Georgia was still part of the Soviet Union. The then U.S.S.R. teams completely dominated world events and were comprised of many Georgian players. Once the U.S.S.R. broke, an independent Georgia took three consecutive gold medals during the 1992, 1994 and 1996 Olympiads. Their most recent win was at the 2008 Olympiad in Dresden, Germany. The team was anchored by Maya Chiburdanidze, Nana Dzagnidze, Lela Javakhishvili, Maia Lomineishvili, and Sophio Khukhashvili. During that competition, Chiburdanidze added another individual gold medal to her record by posting a 2707 performance rating. Nona Gaprindashvili’s love for the game and her fighting spirit continues to amaze many chess players around the globe. She won four Senior World Chess Championships in 1995, 2009, 2014, and 2015. The latter two victories were in the over 65 division. Chess in various forms was first introduced in Georgia in the 7th and 8th centuries. Since then chess has often been found in Georgian literature and poetry. Traditionally, when Georgian women got married their parents would give them chess sets as part of their wedding presents. Chess continues to be the most popular sport in Georgia. Many young players still win medals at the World Junior Championships each year. Most recently the Georgian National team won the Women’s World Team Championship in 2015. Nana Dzagnidze, Lela Javakhishvili, Bela Khotenashvili and Nino Batsiashvili are all on the list of top 20 female players. 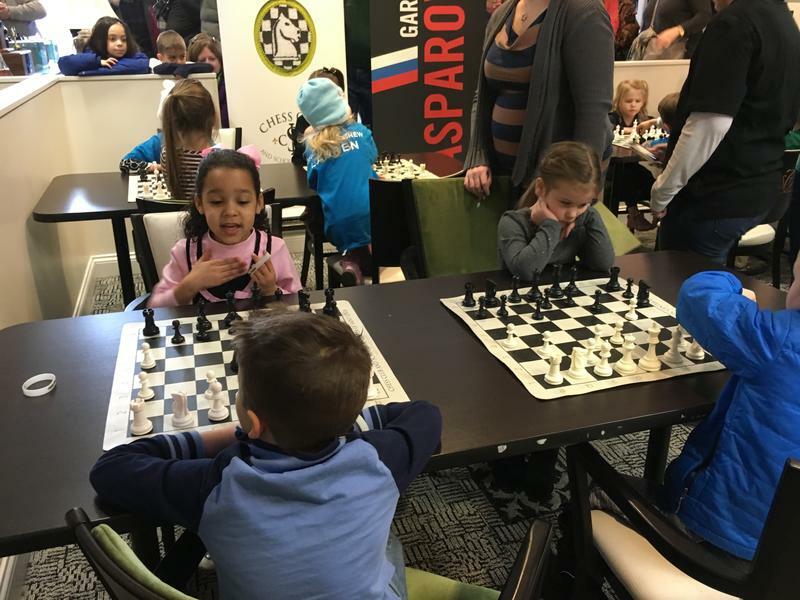 It is hard to explain the success of women from my home country other than to say that perhaps we were lucky to be born in a country where we take in chess with our first breath. We see our parents and relatives play with great enthusiasm and have a steady stream of female role models to inspire us. Whenever I return home, I feel my rating and chess understanding increase the moment I touch Georgian soil. Rusudan Goletiani is an International Master and 2005 U.S. Women’s Chess Champion. She is one of the many chess legacies featured in Her Turn: Revolutionary Women of Chess at the World Chess Hall of Fame. 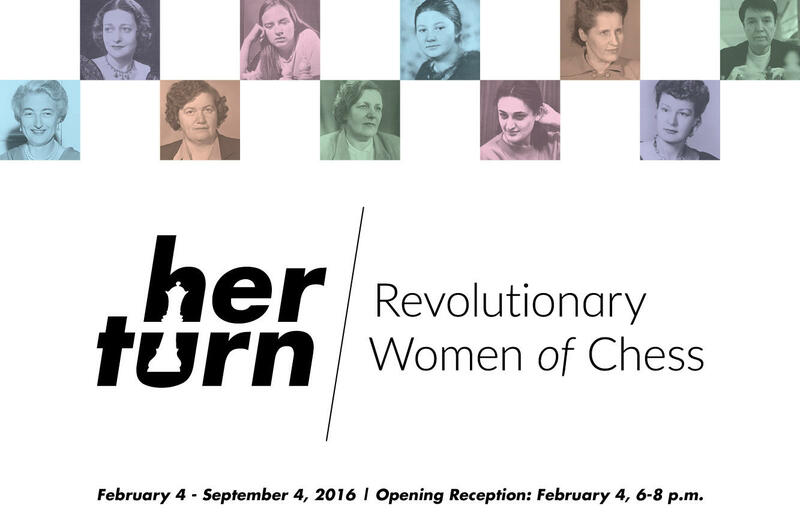 Learn more about the newest exhibition which opens Feb. 4.